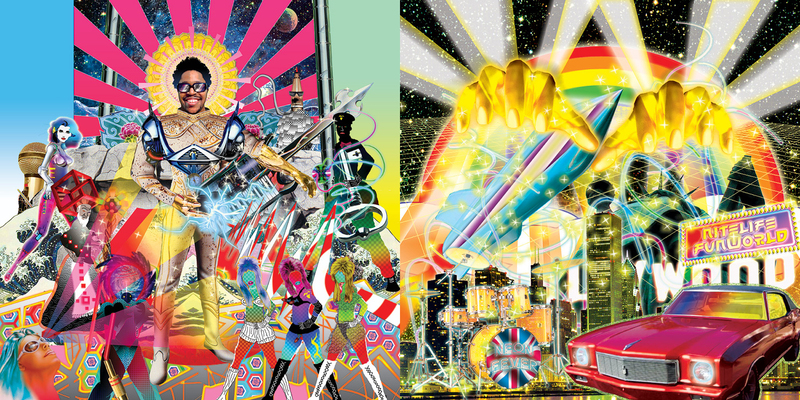 Illustration for Felix Da Housecat’s album “Devin Dazzle & the Neon Fever “. 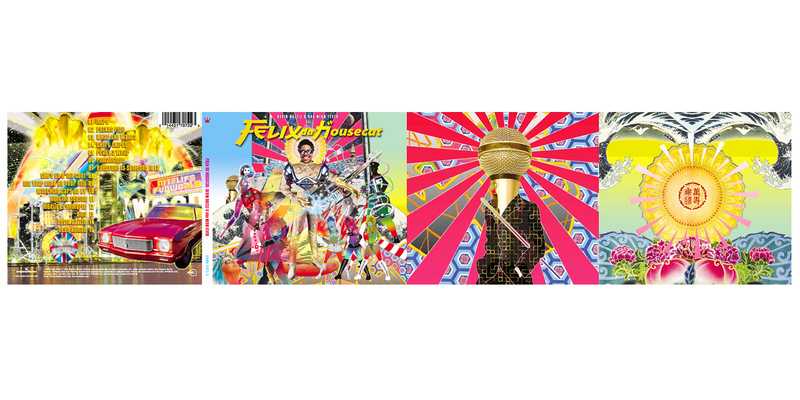 With DEVIN DAZZLE AND THE NEON FEVER, Felix once again has sewn together an album a la hip-hop’s Dan The Automator and Prince Paul which taps the talents of varied producers and vocalists and creates a thoroughly enjoyable ride. Boasting guest vocals from James Murphy of DFA/LCD Soundsystem (“What She Wants”) – “He’s a cool white boy with lots of funk,’ states Felix, Tyrone “Visionary” Palmer (“Ready to Wear,” “Neon Human”), Kate Wax, and an all-girl group known as The Neon Fever (“Rocket Ride,” “Short Skirts,” “Everyone is Someone in LA,” “Hunting Season”) Devin Dazzle and the Neon Fever transcends simple dance, rock or pop music.